'50's nostalgia through and through. Homemade apple pie, pretty-as-a-picture cupcakes, gingham skirts and the birth of Rock 'n' Roll. 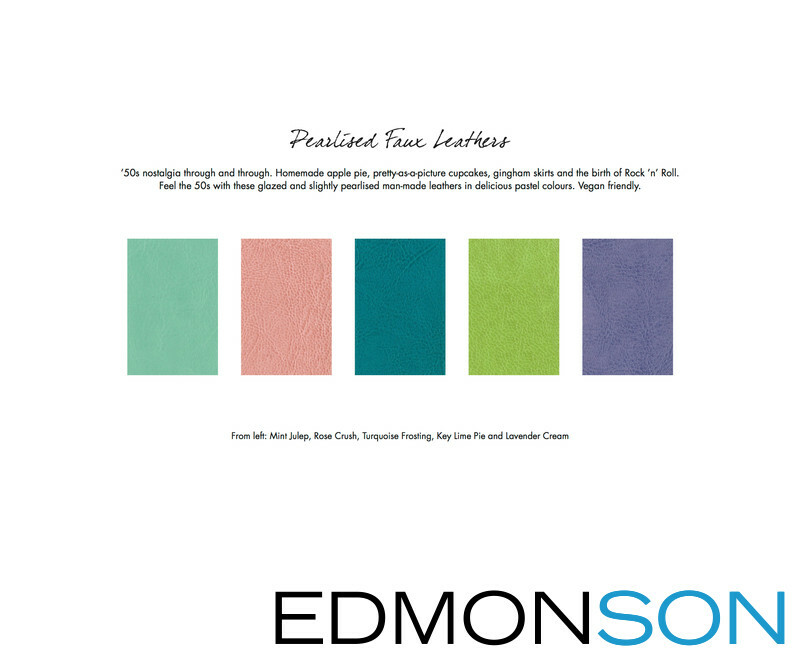 Feel the '50's with these glazed and slightly pearlised man-made leathers in delicious pastel colors. Vegan-friendly. You can feel the glazed finish, but it's not quite patent leather. Again, it feels almost like an Italian purse.